(By Sumit Raj Vashisht) Sometimes on a clear day a dribble of cloud keeps floating in the air and moves around with wind. It changes its shape. it increases its size. It grows thicker and it takes shape on its own. Every moment a different shape appears. It collects water from the air and then pours and finally quenches everyone’s thirst. Same was the process of formation of Shimla, a hill town to the north of India. Once a summer capital of the British subcontinent the town was carved out of zilch. Till nearly two hundred years ago, a tiny village in the hills called Shayamala, was like many other unnoticed villages in the hills. The future of village Shyamala, with not more than fifteen thatched roof houses, was hidden around its seven hills and was scattered somewhere in its own forests of pine and deodar. The locals whose ancestor had arrived these hills from different parts of the country during the Muslims aggressions on India between 11th and 14th century, had no idea of the world outside. In the early years of the nineteenth century the British were invited by the local chieftains to protect them from the Gorkhas from Nepal who made several invasions on these hills. The British army, under the able guidance of General Sir David Octorlony arrived, laced with their modern weapons, guns and cannons, to fight against the Gurkhas. Various battles took place till the final battle in the month of January 1816 at the place in the lower hills called Mallon where one of the Gurkha leaders died and the other one surrendered. Now Shimla never looked back. After a few years of the Anglo-Gurkha war, a British political agent, Captain Charles Pratt Kennedy, arrived here in 1822. He had foreseen the future of Shimla. The fact that he realized was that the climate of the place was going to be a major attraction for the British gentry as it resembles Scotland. 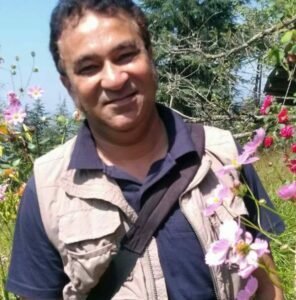 The ridge of Shimla, a continental divide, runs from east to west, at that time was full of forests and wildlife provides a different atmosphere even now. To the south it has Ganges catchment area so the water finally flows down to Bay of Bengal and to its north is Indus catchment so the water finally flows down to Arabian sea. The air around this ridge is cooler than other parts of the town. And so he came up with the idea of designating the boundary of the town which he did by obtaining eighteen villages from the local ruler. He also built a house for himself that became the first English house in the hills. Kennedy went around and selected the seven hills around Shyamala around which the town of Shimla resides now. 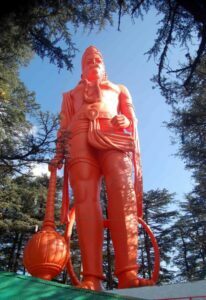 The highest one being Jakhu hill with a temple of lord Hanuman on its summit is a pivot of the town around which the whole city revolves. 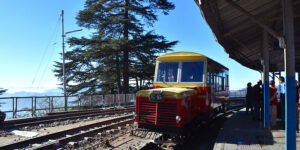 The ridge of Shimla begins from the western shoulder of Jakhu hill and extends to the west till Observatory hill. On the way there are five more hills. Elysium hill to the north of Jakhu, Bantony that receives its name from Bentink’s castle, Inverarm hill or Mount Pleasant – presently with the building of State Museum on its top, Observatory hill – the site of the Viceregal Lodge, Summer Hill – majorly known for its age old forests and Prospects Hill – a Geographical puzzle. Kennedy’s arrival was followed by various other aristocrats of British India. The first one was Lord Amherst who was followed by Lord Combermere. The biggest challenge that the British faced was to reach Shimla. 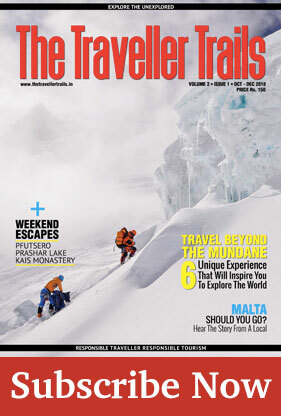 Till 1856 when Shimla got connected by road to the plains of North India, everyone who came here, had to walk. The number of British house in Shimla, till then, had gone up to nearly seventy. The land was allotted by the local rulers on two conditions, one not to chop trees and the other not to slaughter cows. People entered the hills from Kalka and then reached Shimla through a narrow hill path that went through Kasauli, Subathu, Kakkarhatti, Sairi, Jubber Hatti and Jatogh. Here came the month of March and the British would start moving up with all the essential paraphernalia that included their furniture, carpets, chandeliers, crockery, utensils, cutlery, personal belongings, linen, cattle, servants, their belongings or any other item that they needed to live smoothly for next six months in the hills. In 1857 after the Indian Mutiny everything went to the hands of the Crown. The two Viceroys, Lord Canning and Lord Elgin took no interest in making any development here. Shimla won his preference due to its geographical location as at that time this was more central and most liked too. So in 1864 the Viceroy Sir John Lawrence decided to use Shimla as his Summer Capital and move the entire government in the summer months up here. This practice continued till the independence of India and was discouraged later by the Indian government due to the massive expense of the migration every year. From 1864 till 1903, when during the Viceroyalty of Lord Curzon, Shimla got connected by railway, the hill station saw massive development. During these thirty-nine years everything that was essentially required to lead a smooth full life was either created, built or brought. It started with sanatorium, schools, roads, government buildings, employees’ quarters, hospitals, dispensaries, churches, temples, clubs, theatres, Viceregal Lodge, water supply, electricity, sewerage system, offices, bazaars and private house. 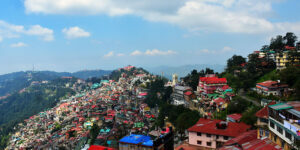 Shimla had become a British Himalayan Town. 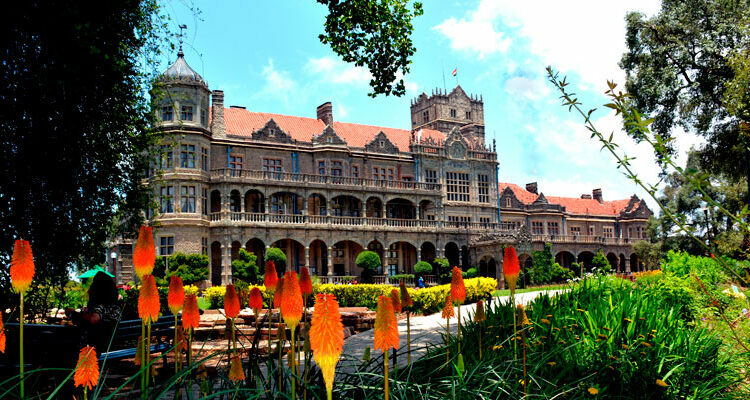 Shimla remained the venue of various meeting and conferences between the Indian leaders, the freedom fighters and the British Government, that lead finally to the partition of India and exit of the British from India in 1947. The British left a readymade hill station town for the Indians that now is one of the most prominent tourist destinations. People from all over the world arrive here to have a holiday. The two major features which attract tourists are the history and the nature. Although the permanent population of Shimla has moved up to nearly three hundred thousand but still the thickest forests of Asia are found around Shimla.